Snaking beneath the waters of the Gulf of Mexico are thousands of miles of pipelines carrying oil and natural gas from offshore wells. They carry the fuel that keeps the American economy rolling, with Gulf production accounting for 17 percent of total U.S. crude oil production and 5 percent of total U.S. dry natural gas production, according to the U.S. Energy Information Administration. Even with safety protocols in place, though, a grave threat to offshore oil and gas operations is the leakage of hydrocarbons – a chief component of oil and natural gas – and the resulting damage to human health and safety, the environment and infrastructure. Most recently, in October, an oil pipe fractured in the Gulf about 40 miles southeast of Venice, Louisiana, releasing between 7,950 and 9,350 barrels of oil before being halted. And, in 2010, the Deepwater Horizon spill leaked more than 3 million barrels into the Gulf. With that in mind, a team of UM researchers is working on technology that could quickly detect, locate and characterize these undersea hydrocarbon leakages in offshore deep-water oil and gas production in the Gulf of Mexico. Last week, the trio of scientists received a $591,000 grant from the Gulf Research Program of the National Academies of Sciences, Engineering, and Medicine to assist in their research. The research is focused on utilizing acoustic technologies to develop a functional real-time monitoring system that can find leaks in deep-water oil and gas production in the Gulf over a large area while still being cost-effective. Early detection and location of leaks could minimize their impact. Current monitoring techniques are limited, including being unable to monitor in real time. The UM team consists of three active researchers in acoustics, physics and electrical engineering. 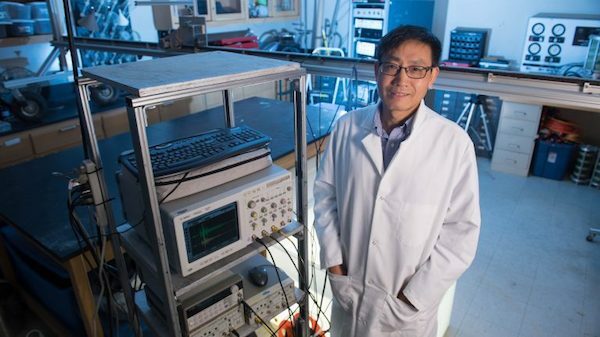 Zhiqu Lu, a senior research scientist at the National Center for Physical Acoustics, is responsible for the experimentation and overview of the project. 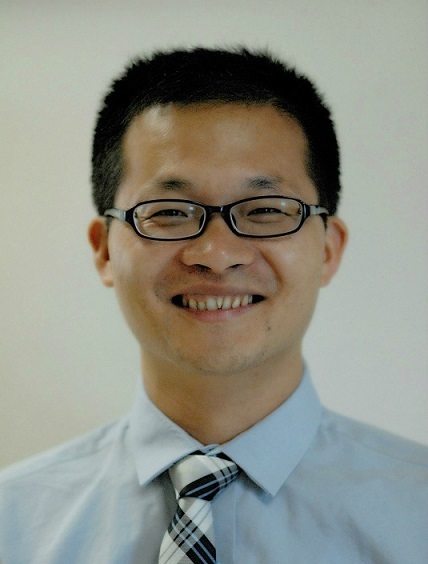 Likun Zhang, an assistant professor of physics and astronomy, is responsible for the implementation and development of acoustic bubble modeling. Lei Cao, professor of electrical engineering, is responsible for the development of localization algorithms. “When we heard the grant approval news, we were very excited and a little bit surprise, since among 66 submitted proposals only six projects were approved,” Lu said. This project’s results could have tremendous applications in petroleum industries, environmental monitoring and other fields, he said. An “early warning system … is essential for preventing the next oil spill as well as for seafloor hydrocarbon seepage detection,” he said. “Using a hydrophone network, a triangulation localization method, similar to GPS-based navigation, can be developed to determine the leak location,” Lu said. “The oil-bubble sounds can be further analyzed to estimate the sizes and intensities of the oil leakages. The grant was one of six announced Dec. 7. The grants, involving research into new technologies that could improve the understanding and management of risks in offshore oil and gas operations, totaled $10.8 million. The six projects were selected after an external peer-review process. The UM researchers are closely collaborating with GOWell International, an international oil and energy company, to ensure the relevance of the experiment to real scenarios and to aid in early prototyping of potential technologies, Lu said. In 2016, U.S. crude oil production in the Gulf of Mexico set an annual high of 1.6 million barrels per day, surpassing the previous high set in 2009, according to the U.S. Energy Information Administration. The administration estimates that annual crude oil production in the Gulf could increase to an average of 1.7 million barrels per day in 2017 and 1.9 million barrels per day in 2018. For more information about the National Center for Physical Acoustics, visit https://ncpa.olemiss.edu/. The National Academies’ Gulf Research Program is an independent, science-based program founded in 2013 as part of legal settlements with the companies involved in the 2010 Deepwater Horizon disaster. The program seeks to enhance offshore energy system safety and protect human health and the environment. The program has $500 million for use over 30 years to fund grants, fellowships and other activities in the areas of research and development, education and training, and monitoring and synthesis. Visit http://www.national-academies.org/gulf/index.html to learn more.